Just after World War II, The RAND Corporation was quietly working on a massive book of numbers. 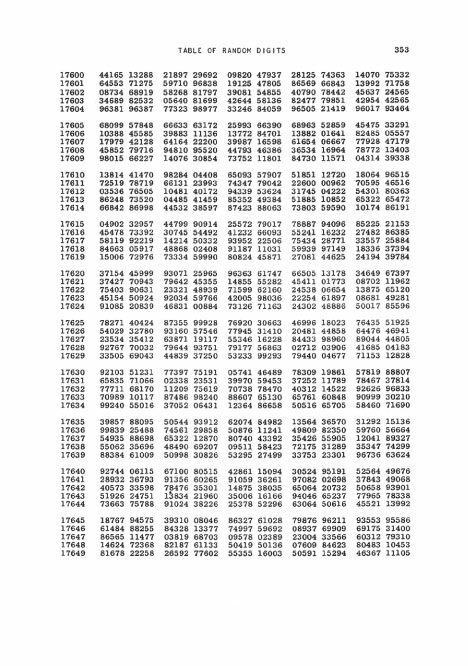 A Million Random Digits (With 100,000 Normal Deviates) was published by The Free Press in 1955 after almost ten years of meticulous production. The volume is comprised of page after page of numbers­—mathematical tables filled with random digits. (A typical page (picked at random) from the 1966 printing is reproduced on the cover of this bulletin.) The random number bible has passed through three editions, multiple printings and is currently available as both a soft format paperback book and as a text data file downloadable directly from RAND.